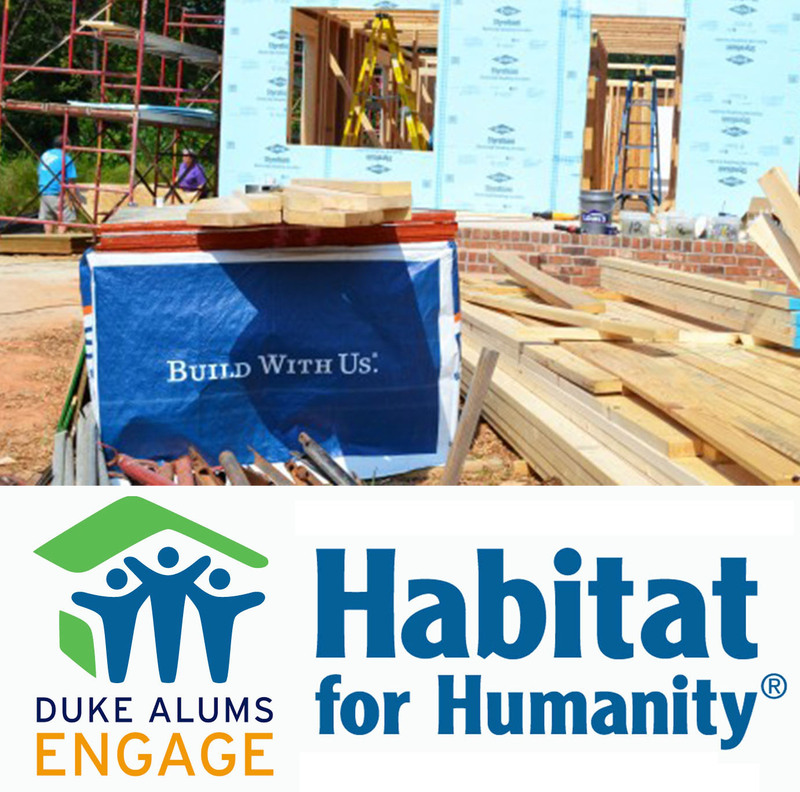 Duke Alums Engage volunteers for Habitat for Humanity will help in building a home for a family in Winston-Salem. No construction experience is necessary and tools will be provided. We will be given instructions by capable staff as to the tasks we will do during the day. Participating in a Habitat Build is a wonderful way to help others and when 3 approaches you will not only see your, and Duke volunteers' accomplishments but will likely wish you can stay and build more. We hope you will join us in this fun day doing a very worthwhile project to help others. Minimum age to volunteer for this project is 16. There is no cost to attend but registration is required. Over 3,000 Duke alumni building a community of impact in the Triad area.